One way to help save you and your clients time is to be able to upload (syndicate) tour links and/or tour images to their MLS. Luckily, we have been able to partner with a handful of MLSs to make that happen for you! CRMLS/OCAR (Orange County, CA) - No account required. Photos & Link. Trend MLS (NJ,PA) - Account required. Link only. Sandicor (San Diego, CA) - Link only. Sacramento Metrolist (Sacramento, CA) - Photos & Link. REColorado (Denver, CO) - Account required. Link only. IRES (Northern Colorado) - Account required. Link only. 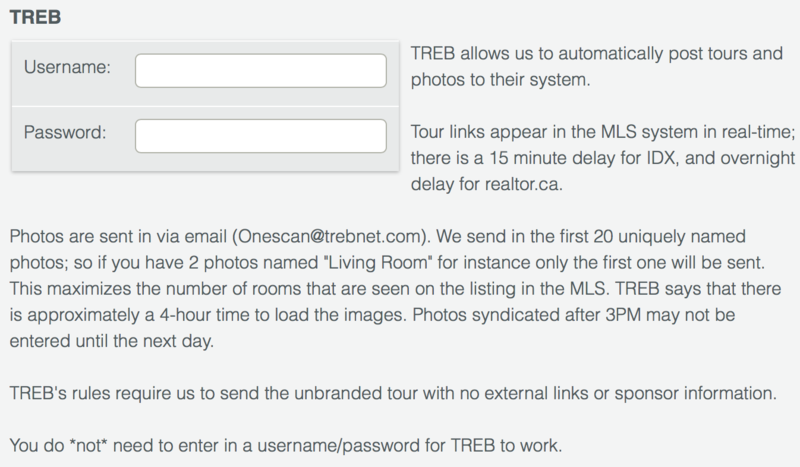 TREB (Ontario, Canada) - Account required. Link & Photos. 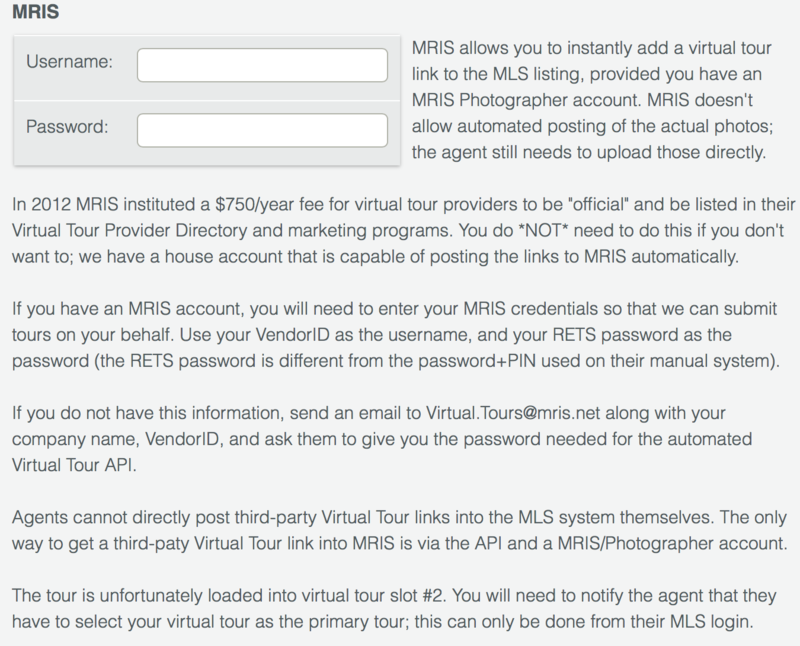 If your MLS isn't on the list but supports automated posting of tour links and/or photos, let us know so that we can look into automating the process for you. We do support several hundreds of MLSs so that we can provide the properly sized images for your client. You can find out more information on those here.